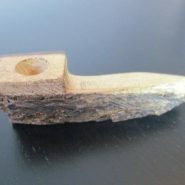 Home > Shop > Smoke a pocket wood pipe. Roll the dice smoke weed everyday pocket wood pipe. 2 1/2" long. with free smoking pipe screens. and free shipping within the US. The best pocket wood smoking pipe to take to the casino. you play and smoke your pipe at the same time. great pipes to hide when going to visit grandmother or just a friend that do not like the smoking pipe thing. however try this little one and be surprise on how good is it.